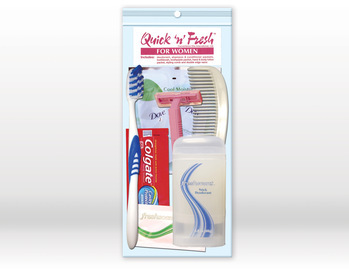 Packed with all the personal care essentials women need, this TSA compliant kit is an easy, convenient choice. It contains a toothbrush, styling comb, and a twin blade disposable pink razor. Packets of toothpaste, shampoo and conditioner and a hand and body lotion are included as well as a stick deodorant. 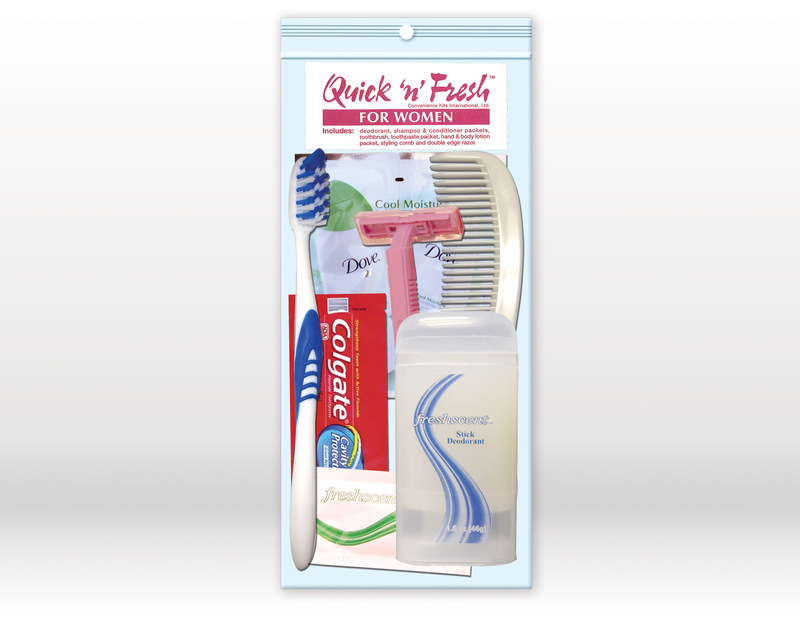 Keep this kit handy, so you will have all the little necessities to keep yourself clean and fresh when needed.